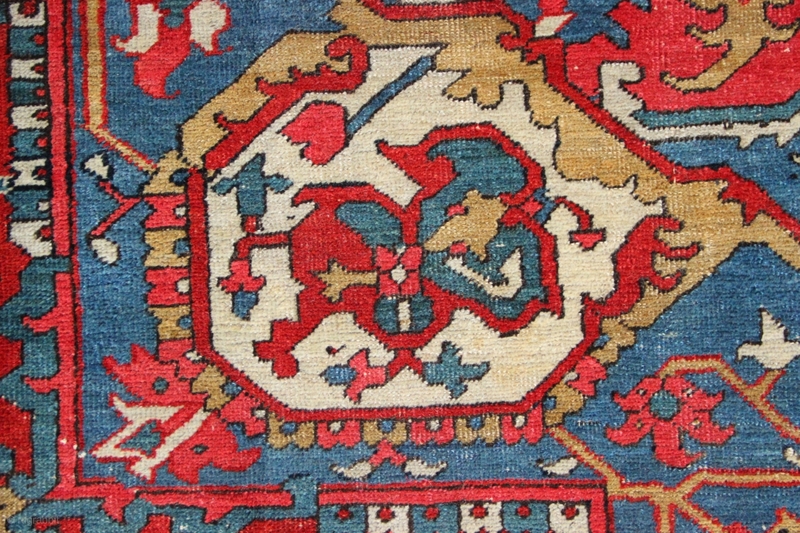 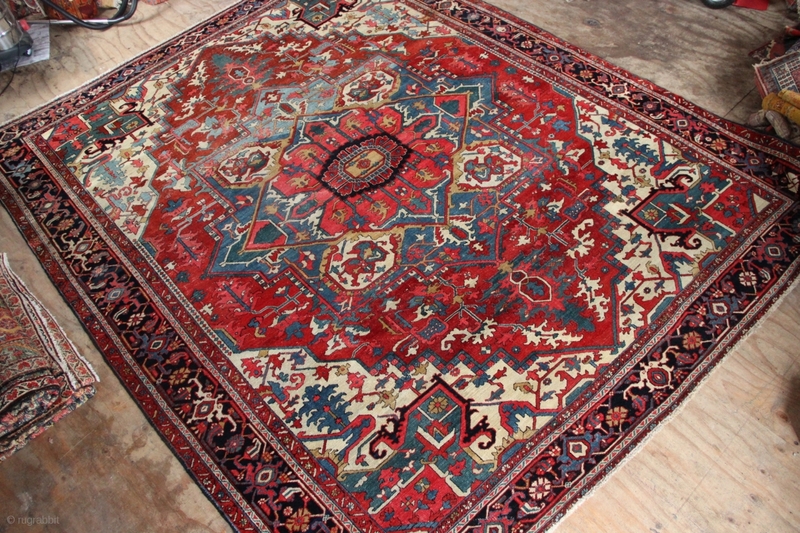 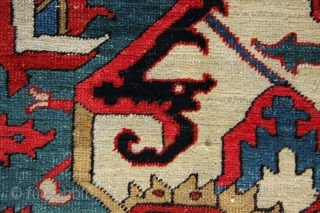 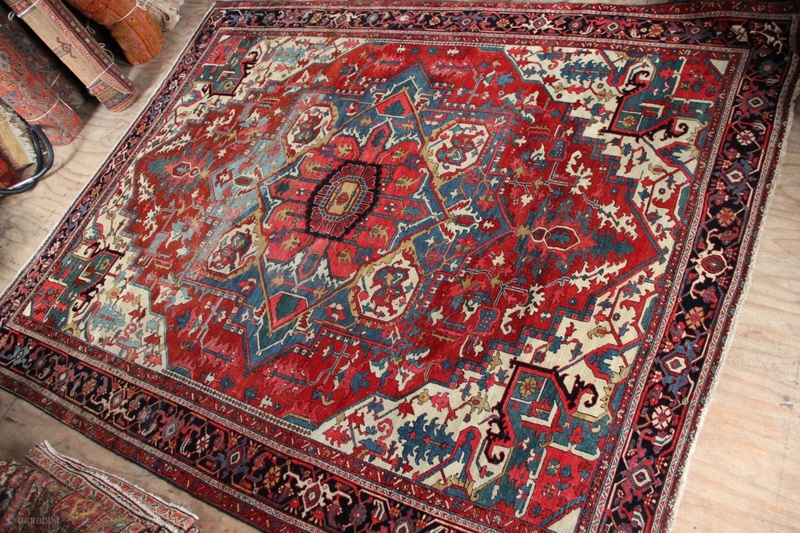 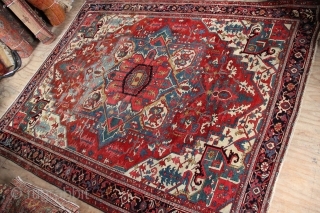 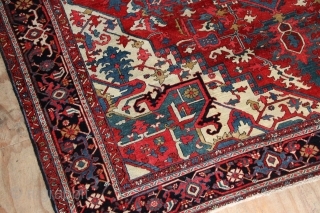 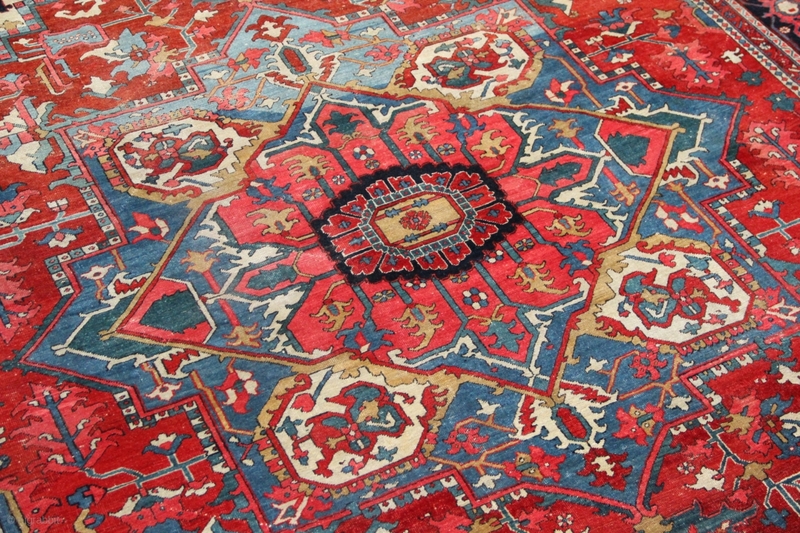 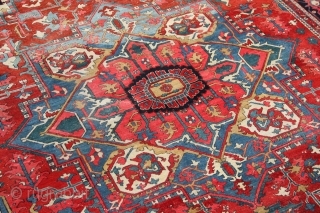 Serapi Heriz circa 1900 10'7" x 12'6" in decent condition, finer than average. Nice to see the light blue medallion. 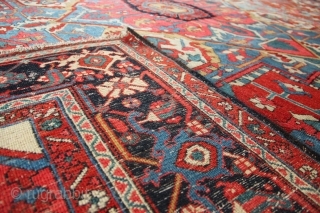 a striking and handsome carpet.